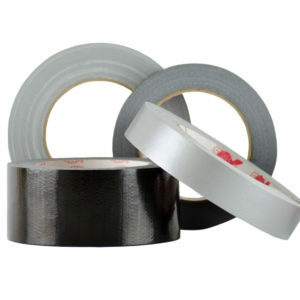 Can-Do’s duct tape is a 10 mil product with high tensile strength and a specially formulated pressure sensitive adhesive that is superior to competitively priced products. It tears and unwinds easily and conforms well to irregular surfaces. The brand denotes strength and durability. 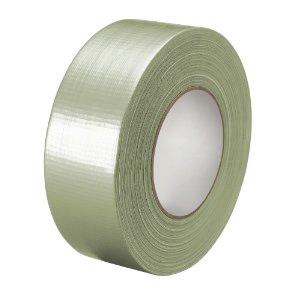 This product is used for packing, sealing ductwork, holding insulation materials in place, seaming carpet padding, dust-proofing filter banks, and other general purposes such as repair, mending, or patching. 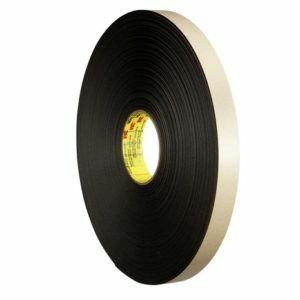 Can-Do National Tape’s general purpose masking tape bears its “Ape Tape” brand; and it is available in widths ranging from 1/4″ to 4″. Some typical applications include light duty packing, bundling, holding, sealing and surface protection, painting mask, spraying mask, and stenciling mask. 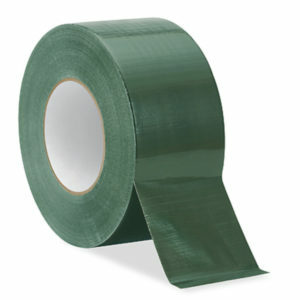 Can-Do’s “Ape Tape” electrical tape is value priced and constructed of a plasticized and stabilized soft PVC film. It is coated with a rubber-based adhesive on one side. The non-corrosive pressure sensitive adhesive requires no heat, moisture, or other preparation and results in an easily applied quality finished product.